Day 1: Arrival to Male International Airport and transfer to domestic airports. Fishing boat will be waiting at domestic airport. Fishing trip begins. 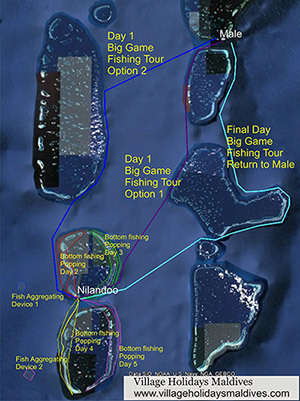 Day 2-4: Fishing in the day and return to island for the night.